Does Ford Motor Company offer a greater lesson on whether or not family control is good for business? Is it still the same old Ford under William Clay Ford, Jr.? Not long ago, images of Bill Ford — who in October 2001 stepped into the shoes of the legendary Henry Ford to become the company’s CEO — were all over U.S. television. The TV commercials — which covered such topics as family, legacy and SUVs — had been culled from a two hour-long, unscripted interview. They certainly brought out Mr. Ford's pleasant personality. As he reminisced about his family’s storied history in those TV ads, he projected the image of a wealthy young man with a fairly liberal upbringing — and an emphatically green outlook on life. But lately, that friendly image has suffered as Ford continues to struggle on a number of fronts. First, there's the issue of the environment. For as long as Ford, the CEO, stayed on topics such as family lore in his TV ads, he did fine. But Ford the company makes most of its money from big, gas-guzzling behemoths — such as SUVs and pick-up trucks. These vehicles — guaranteed to be "Built Ford Tough" — have become an embarrassment to the green CEO. Ford recently was forced to announce that it would not be able to meet its self-imposed target of a 25% reduction in fuel consumption in its SUVs by 2005. This goal had first been proposed — with strong backing from Bill Ford — in July 2000. But as bigger and heavier SUVs gained popularity among U.S. consumers, it became unattainable. Simply staying out of this market segment was never an option, given SUVs' and trucks' fat profit margins and strong sales growth. Given the company's continued struggles, Bill Ford has to face the criticism that he was simply not ready to lead the automaker. There is no denying that Mr. Ford’s previous management experience has been limited, even though he has worked in various positions — starting out as a product planning analyst — in the company since 1979. In fact, 46 year-old Mr. Ford has made a previous attempt at turning a struggling organization around. The precedent is not comforting. Mr. Ford's family owns not only a large chunk of his great-grandfather's company, Ford Motor Co., but also another venerable American franchise — the Detroit Lions football team. A year before assuming the post of CEO at Ford, Mr. Ford devised a plan to improve the team, as whose Vice Chairman he still serves. But the Lions failed to roar, finishing the 2001-2002 season with 2 wins — and 14 losses. The 2002-2003 season was not much better, the Lions' 3-13 record was the second-worst in the entire league. Since many of the Lions' diehard fans also depend on a Ford paycheck for their livelihood, they are likely to have greeted the appointment of Mr. Ford as CEO with great apprehension. The car company surely cannot afford failure at the level displayed by the football team. The Number Two U.S. automaker needs tough decisions in order to overcome its current crisis. And Mr. Ford will need more than a little of his famous great-grandfather's nasty streak to right a company that lost $5.5 billion in 2001. In 2002, losses were held down to $980 million, which indicates that the company is at least starting to move in the right direction. Mr. Ford’s management team now has a restructuring plan that calls for cutting 35,000 employees — closing five plants and discontinuing four models. However, the tough guys on Wall Street aren't convinced yet. 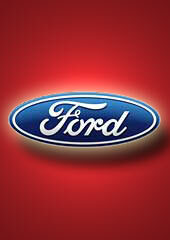 Ford's share price fell below $7 in the second half of 2002, compared to over $35 in 1999. The stock now trades around $11. The poor performance in the stock market is more reminiscent of a troubled "New Economy" company, not a venerable industrial blue chip. Standard & Poor's even downgraded the Ford's credit rating to its lowest level ever, at BBB. It also maintains a negative outlook on the rating, citing falling market share and massive unfunded pension plan liabilities. If Bill Ford fails to lead his family's company to health, it may reaffirm the folly of appointing scions of the founding families as corporate chairmen, or at least CEOs. There is no question that Mr. Ford wouldn't have been anywhere near the CEO suite had his family not controlled decision-making at the publicly traded Ford Motor Co. through its Class B shares. A Ford at the head of Ford Motor Co. may look good — and hint at continuity. In fact, it might just have worked during the go-go years of the 1990s — when a CEO was expected to be a charismatic leader and his job was mainly to look good on TV and to impress consumers and investors. Times have gotten a lot tougher in the new millennium. One wonders if old Henry Ford would have approved of his great-grandson's appointment.